You’re just stepping out into the bright, shining world of binary options online with $500 in your pocket and your eyes on the skies. You have met several friendly traders online who share your hopes and dreams, and also enjoy using similar trading techniques. After talking for a while, you have realized that you can trade using the same method together. Your friends are spaced around the world in such a way that each of you can log onto the same account to place trades while the others are not available. That way as a team you can make sure you never miss a trading opportunity. You can pool your capital and aim for the stars. Sounds great, right? Do you really need a contract? That depends on how your is structured. If you are only going to be sharing strategies and opportunities, but you are trading with separate accounts and taking separate risks, you may not need a contract, because you are only loosely working together (like members of an internet forum might do). If on the other hand you are going to be working closely together, and one person’s decision can cause the entire team to gain or lose money, a . If you wait, nobody will have any rules to enforce the proper distribution of the gains. And in the meantime, who is responsible for losses or debt? If you do not know what you are doing, do some research. Consider asking advice from a lawyer if you really need help. Trading is a serious business, and you should treat it like one from day one. Otherwise you are not really ready to trade. In general, it is probably best to avoid sharing a binary options online account if you trade with a team. Another situation where it might arise however involves clients and not team members. If you become good at trading, you may find investors who want you to trade for them with their money—and give you a percentage in return for the profits you generate. 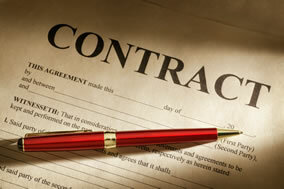 That is a situation where you absolutely must have a business contract in place that protects you. It doesn’t hurt to look for .